LAN, Twinax, or Coax Connectivity for Hewlett-Packard Printers. 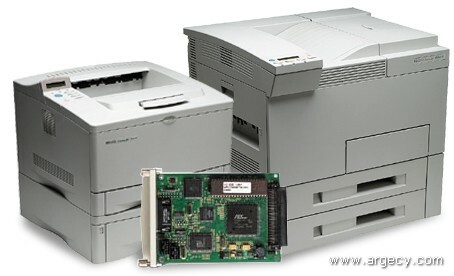 Easy installation in the printer's EIO, MIO, or XIO slot, or externally through the parallel port. Convenient configuration through the printer's operator panel. Reliable printing from IBM AS/400, S/3X or 3270-type mainframe. Low-cost bar code printing through on-board bar code generator.